This beech tree grows next door but the branches cross high over our fence. 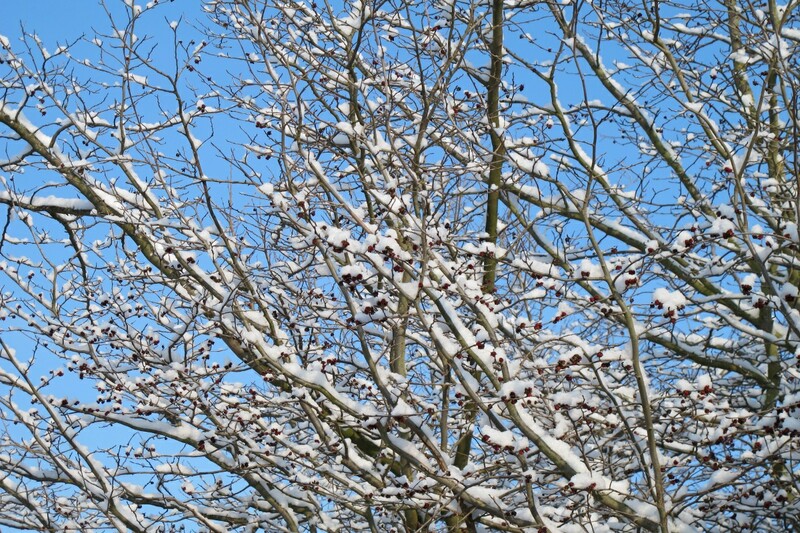 With a fresh snow fall yesterday and a beautiful blue sky, what a glorious sight it is! If you enlarge it you can make out some of last year's beechmast husks still clinging on.